Beck recruited Pharrell Williams for the singer’s new track “Saw Lightning,” the first single off his upcoming new album Hyperspace. 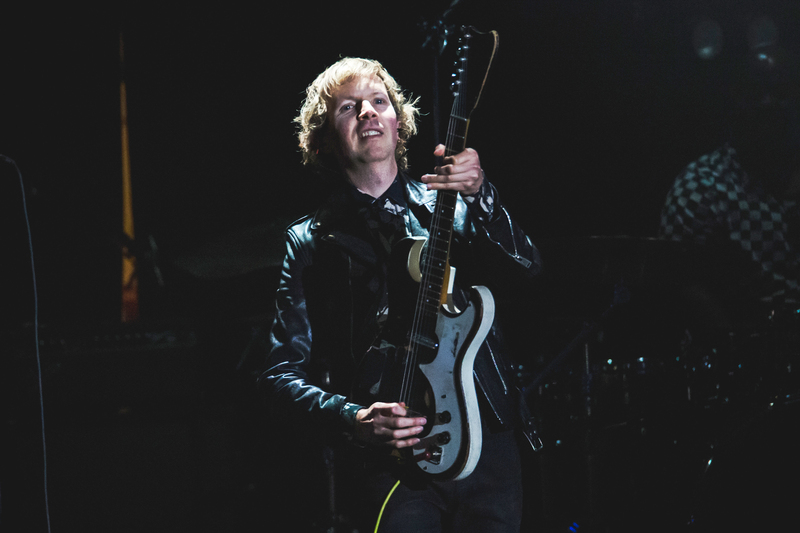 Beck and Williams co-wrote and co-produced the track, which melds the jangly acoustic guitar of Beck’s folksier work with the dancefloor-ready programmed beats prominent in his 2017 LP Colors; Williams also contributes, according to the song credits, “drums, keyboards and mumbles” to the track. “Saw Lightning” also features as part of an upcoming Beats by Dre ad campaign helmed by Atlanta and “This Is America” director Hiro Murai. In the interim since Colors, Beck has covered “Tarantula” for the Roma soundtrack, served as co-producer on Jenny Lewis’ On the Line and teamed with Cage the Elephant for that band’s “Night Running“; Beck and Cage the Elephant will embark on a co-headlining tour this summer.